JIPMER Candidate Login 2019 - JIPMER, Puducherry has released JIPMER MBBS 2019 application form on March 6; the application form has been released in online mode and can be filled till April 12. The application form of JIPMER PG 2019 July session opened on February 28, with last date to submit PG applications being April 1. The medical aspirants will be required to create a JIPMER 2019 candidate login ID to fill, submit and view the status of application form. Also, the candidate login of JIPMER 2019 will also be used to download the admit card before the exam and rank letters after the declaration of result. JIPMER candidate login for JIPMER MBBS will be available on this page as soon as released. 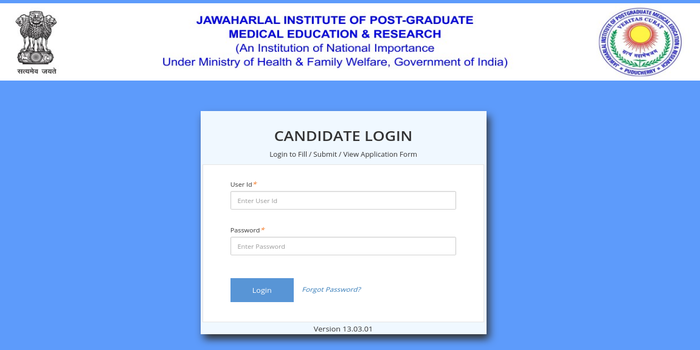 Upon successful registration, candidate login ID for JIPMER PG (July session) will be sent to the candidate along with the link for the log-in page(described in detail below). The candidate login of JIPMER 2019 includes ‘User ID’ and ‘Password’. Candidates are able to fill, view and submit the application form of JIPMER by logging in through the JIPMER 2019 candidate login with this User ID and Password. Once the registration process is completed, JIPMER candidate login details with user ID and password are sent to the registered mobile numbers and email ID of candidates. It is advised to keep the user ID and password for future preferences. Go through the article on how to create JIPMER candidate login 2019, steps to download admit card and rank letter using candidate ID and other relevant information. JIPMER PG 2019 exam for July session will be conducted in computer-based mode on May 18, 2019. The exam for undergraduate medical admission, JIPMER 2019 meanwhile is scheduled to be held on June 2, in computer based mode. The last date for creating JIPMER candidate login and submission of application form for MD/MS courses is April 1. 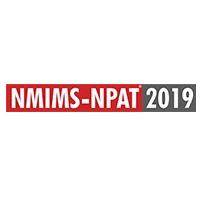 For MBBS courses, the last date for registration is April 12, 2019. In order to get the candidate login credentials of JIPMER MBBS and JIPMER PG (July Session), aspirants need to register themselves first. How to create JIPMER PG Candidate Login 2019? 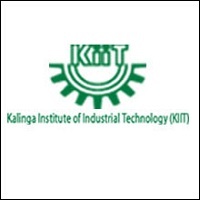 Aspirants need to click on the link provided below. Now, read the instructions mentioned carefully and close the window. Submit all the asked details and click on 'register' button. How to create JIPMER MBBS 2019 Candidate Login? Click on the link provided on this page to create JIPMER candidate login. The instructions page will be displayed. Read all the guidelines and close it. Next page will display the message stating that JIPMER candidate login credentials has been sent to registered mobile number and email ID. 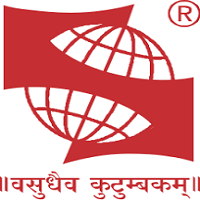 Point to remember: After the completion of registration process, the login credentials - User ID and password will be sent to the registered mobile number and email ID. 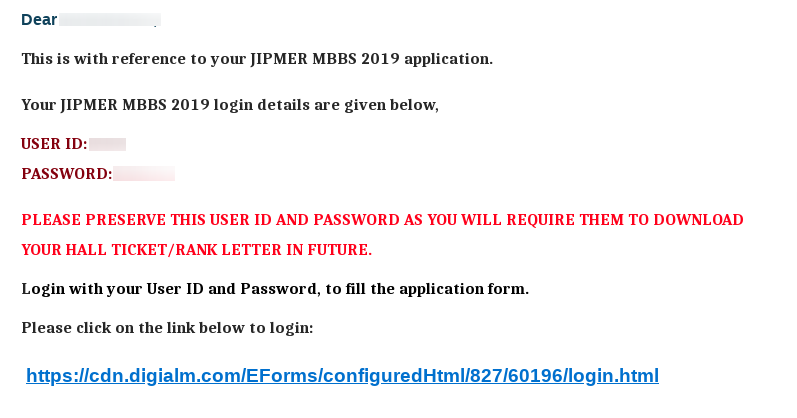 The screenshot of the mail containing the details of JIPMER 2019 candidate login and other instructions is provided below. How to login using JIPMER 2019 Candidate Login for JIPMER PG? Click on the link given below to login using candidate login of JIPMER 2019. Enter your ‘User ID’ and ‘Password’. How to login using JIPMER 2019 Candidate Login for JIPMER MBBS? How to recover password of JIPMER Candidate Login 2019? Click on the JIPMER candidate login links of respective entrance exams. A link with title 'Forgot Password' will be available besides login button. Click on the option. Now, enter 'User ID' and text shown in image, and click on 'Get Password' button. 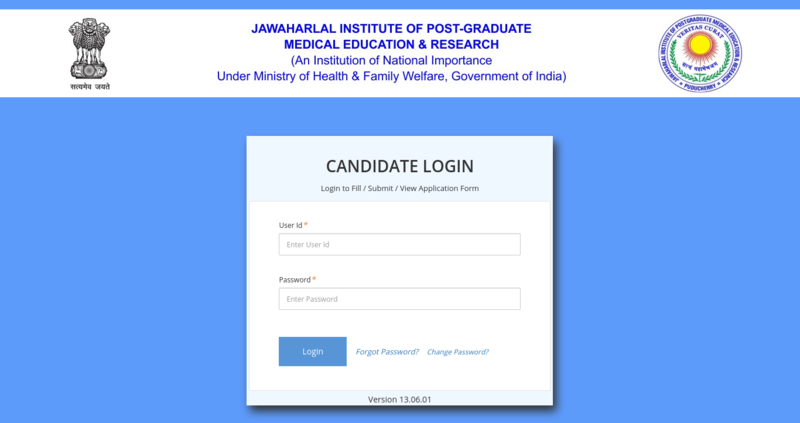 With this, login credentials of JIPMER candidate login 2019 will be sent to the registered email ID and mobile number of the candidate. In order to fill the application form of JIPMER, aspirants first need to register themselves and go through the process of creating their candidate login ID of JIPMER. Once the registration is over, the user ID and password will be sent to the aspirants. Using these credentials, candidates can login to the application form of JIPMER 2019 and provide some information such as father's/mother's name, identity proofs, digital photograph and signature, exam city of JIPMER PG 2019 and other details in the application form. The candidate login of JIPMER 2019 will be used for downloading the hall tickets of JIPMER MBBS and JIPMER PG. In order to download JIPMER MBBS admit card 2019, aspirants need to login using their user ID and password. The admit card of JIPMER MBBS will be available from May 20- June 2, 2019, while the JIPMER PG hall ticket for July session will be available from April 29 till May 18. As mentioned above, the candidate login ID of JIPMER 2019 will also be used for downloading the rank letters for the qualified aspirants. 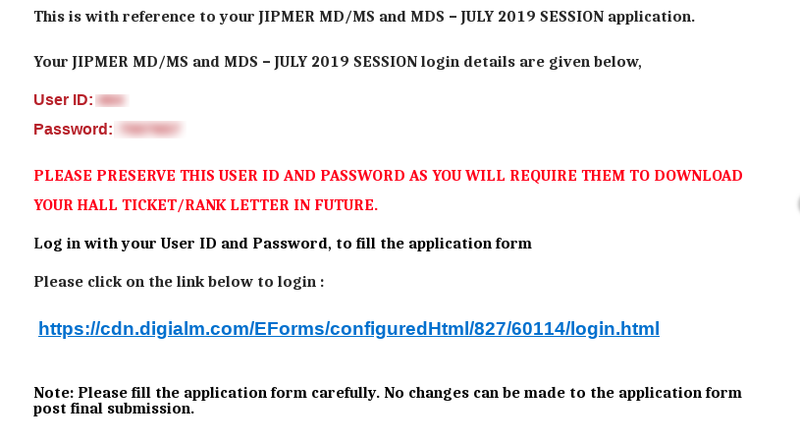 In order to download the individual JIPMER rank letter 2019, candidates need to login using their JIPMER candidate login credentials. While downloading the rank letter, students will also have an option either to enter their user ID or application number as the username.